Kong X-Large steel biners are one of the best price vs. performance deals you can find. 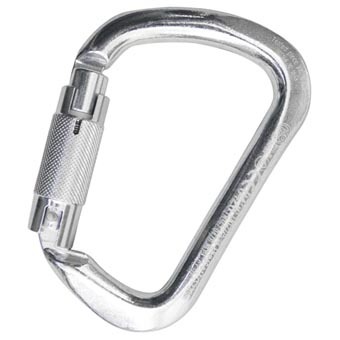 Ranging from 35 to 50kN, these carabiners will withstand years of abuse. Strength: 25kN. Weight: 100g.